Posted in: Helpful Hints, Linux, Support Questions, Windows. As you can tell from previous posts, I’m having trouble with the Windows 10 Anniversary Update on one of my machines. It’s an older machine and I suspect that Windows has broken a driver for the old motherboard. The latest version that worked properly was Version 1511 / 10586.545 and each time I restored to the last Restore Point, it went back to that. So apparently, the Anniversary Update 1607 / 14393.51 is the problem. After going back to a Restore Point on two successive days, I turned off the Windows Update service and the machine was ok for a day, but I decided that this was too risky a state to leave the system. I have decided to move the system to Linux Mint 18, and this post is being typed into that system. It took about 2 hours to do the update, including installing a new system HD, and another couple of hours to set up Thunderbird email. I have used Linux Mint for many years, and the latest is version 18. I prefer the Cinnamon version, but you may prefer another of the several window managers. For my choice, Cinnamon looks the most like Windows. This machine is used for email, online shopping and document creation. It has two 1080×1200 monitors driven by an older GTX 270 card. Not the best for gaming, but just fine for it’s uses. The standard convenient installation of Mint uses a Live DVD. I already had the ISO since I’ve already installed LM18 in a Virtual Machine to check it out. On newer machines, booting from a USB stick might be a lot easier than burning DVD media, but this old 2007 Alienware system is not likely to like to boot from a USB stick. The install went without any issues. The system SSD from the Windows 10 system was set aside and a 320GB SATA HD was used for the system disk. This is much larger than might ever be required. I would have used a smaller – 40-60GB – SSD if I had one lying around, but this was the most reasonable disk available. 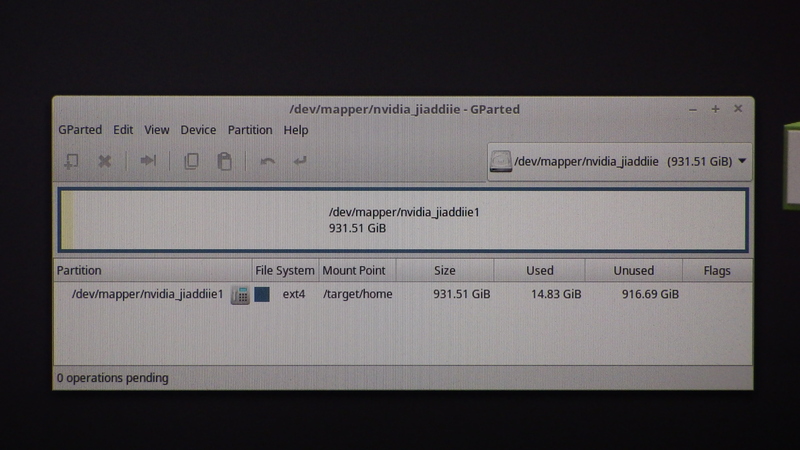 The plan is to have the system on one drive and the /home partition on another drive. I turned off the RAID function in the BIOS before booting into the Live DVD. The system originally used dual striped raid disks for speed, but SSDs these days are far faster than Striped HDs of course. The RAID left funny partition definitions on the one drive which caused Linux to use some sort of mapper and caused strange disk names to appear. The installation complained about not having a SWAP partition so I went back and added one to the system drive. All the file systems are EXT4. I have no idea. Looks like the latest version to me. Probably best. The panel at the bottom of the screen is way too small by default, but it’s easy to fix. The update settings are set to Novice rather than the default. No problems reading the card from a camera I used during installation on the Live DVD. Plugged in the card to the USB camera card reader from 2007, and I got a choice to import or just open a folder. I have a bunch of email addresses, so I want one program to dump them all into and one place to look at, reply to and store my email. On windows I used Windows Live Mail, but it’s not been updated since 2012 and there are security concerns with email programs. I’d rather be using something that is kept up to date more frequently. Like Thunderbird. Also Tbird gets some new features along the way, like automated email setup. Just type your name, email, password, and Tbird does the rest. If your email service is known to it, then it automatically sets things up and gives you the choice of IMAP or POP and of course SSL is used both ways. And it’s stored where I want it to be. Microsoft hides your email on your precious SSD along with USERS/YOURNAMEHERE. But with Linux, you get to choose where everything goes. That’s why I set up a /home partition on another drive. So all my private stuff is not taking up valuable system drive space. The files are stored at /home/yourname/.thunderbird, which is not on your SSD, but on your large HD. Easy to set up when you install just by creating another partition for /home. Looks like it’s all working. I’ve installed Lastpass and Ghostery in Firefox, and SAMBA lets me get to the other shares on my network. Yes even the Windows 10 shares. We’ll see. Things seem fast enough I may not get an SSD, but if I do get one, one of the size I need is only about $90 – Smallest they make now is about 120GB – way more space than I need for a Linux system.